Perfect for storage of supplies, tools, bins, equipment, gear, products, canisters, boxed, etc. Shelf Capacity Includes 1.65 Safety Factor. Shelves are box formed at front and back allowing high capacity storage with minimal deflection. Sides of shelves are triple flanged adding to shelf strength. 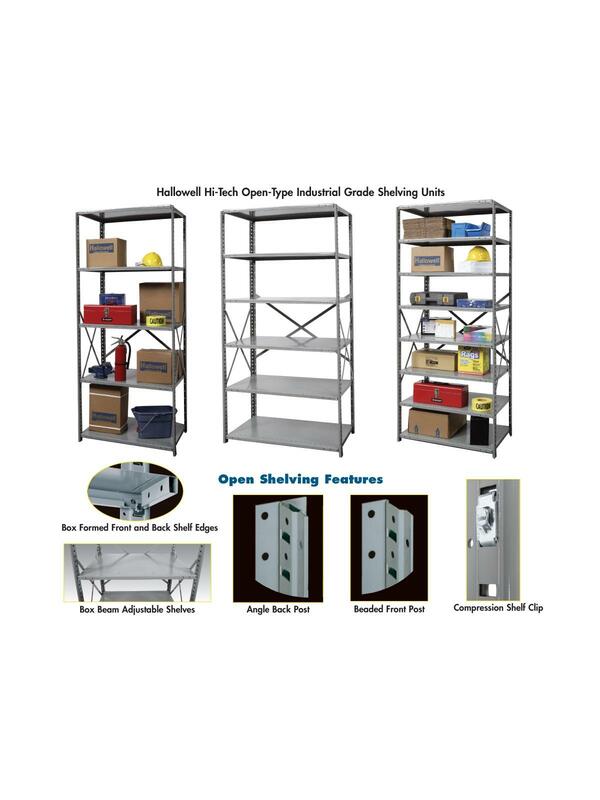 Compression shelf clips improve overall unit capacity. Posts are punched to allow shelves to be adjusted top to bottom at 1-1/2” on center. Beaded front posts allow use of full shelf width and are common between adjoining units reducing assembly and installation time as well as reducing cost. Angle back posts can be bolted together when joining units side-by-side or back-to-back. 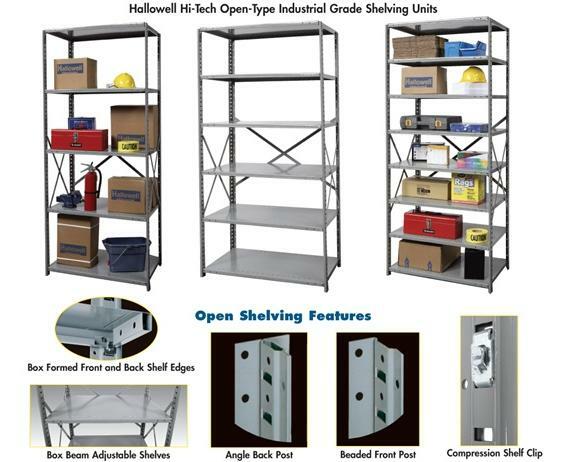 Side and back sway braces eliminate units sway providing a safe storage solution. FOB Shipping Point. Starter Units Include: Two front beaded posts, two angle back posts, one pair of back sway braces, two pair of side sway braces and shelves with shelf clips applicable to unit ordered. Adder Units Included: One front beaded post, two angle back posts, one pair of back sway braces, one pair of side sway braces and shelves with shelf clips applicable to unit ordered. * Shelf Capacity includes 1.65 Safety Factor. 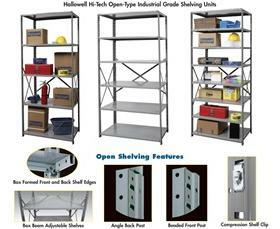 See Related Items tab for Addtional Shelves for Open Shelving. 36 x 24 x 87"36 24 87"